How to set default page from WebsitePanel? 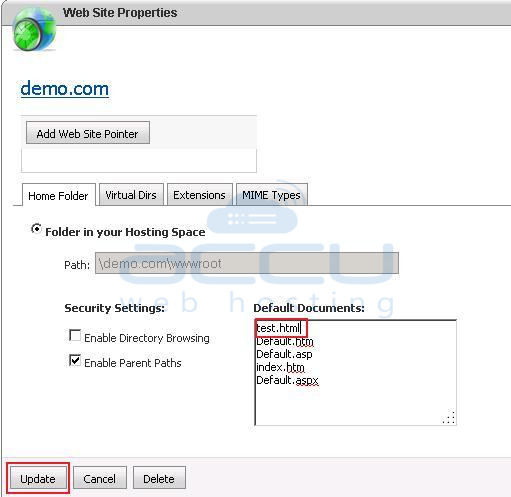 This article will guide you how to set the default page for your website from WebsitePanel. Log in to the WebsitePanel. Click on your customer name. Click on Web -> Web sites. Click on the website name e.g. demo.com. Enter the default web page name in the Default Documents list and set it as per the priority e.g. test.html. How to Delete an Email Account From WebsitePanel? How to backup MySQL database from WebsitePanel?